Learn all about the temporary retirement visitor visa. The temporary retirement visitor visa for New Zealand allows you stay in New Zealand for 2 year s. It is only available for applicants age 66 or older and while partners can be included in the application, dependents cannot be included. The temporary retirement visitor visa requires you to make an investment into New Zealand of NZ$ 750,000 for the 2 year period plus you will also need additional capital and income. Get started today with your free initial assessment. NZ$ 750,000 to invest in New Zealand for a 2 year period. On provisional approval of your temporary retirement visitor visa you will have 3 months to transfer these funds to New Zealand. A further NZ$ 500,000 is required in maintenance funds and living costs. An annual income of NZ$ 60,000 is required in addition to the capital requirements. This income can come from only you, the applicant, or from you and your partners's combined income. The temporary retirement visitor visa does not entitle you to health care. Consequently you must maintain appropriate health cover for the duration of your visa. This visa does not allow you to undertake any work. Firms traded on the New Zealand Debt Securities Market (NZDX). Firms with at least a BBB- or equivalent rating from internationally recognised credit rating agencies, eg Standard and Poor's. New Zealand firms - these can be public or private. Eligible New Zealand venture capital funds. You and any partner will need to meet the health and good character requirements. 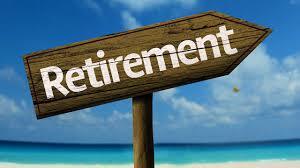 Take advantage of our free initial assessment for your Retirement Visitors Visa.